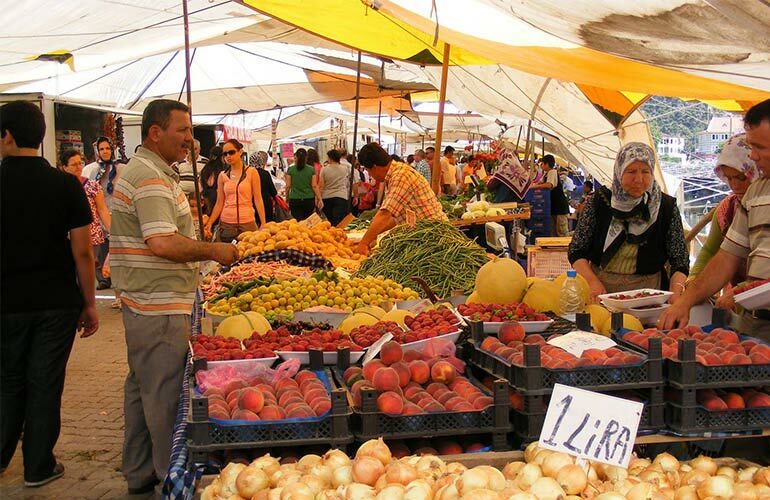 Fethiye Market Every Tuesday there is a Baazar in Fethiye. 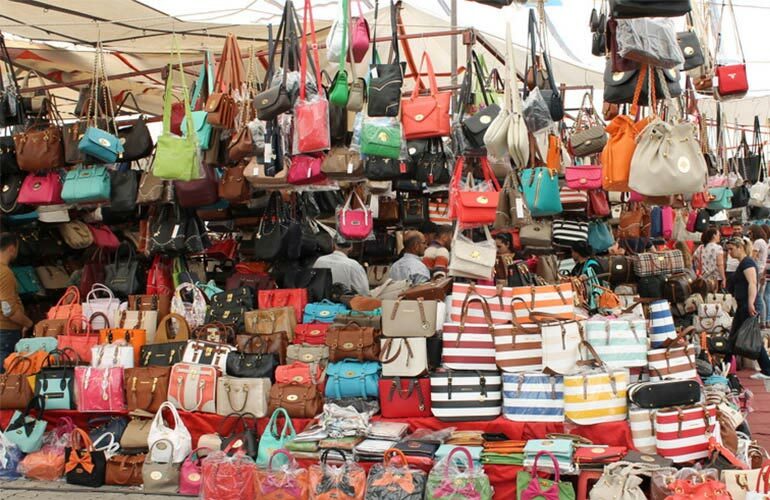 Every Tuesday, we are organazing a visit to Fethiye traditional bazaar. 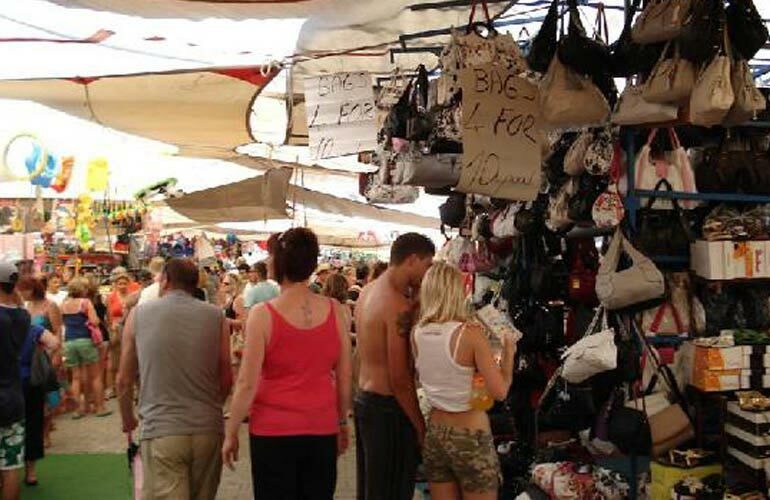 In the bazaar, traditionals things, souvenirs, cloths, foods and so on can be found. After 2 hours time at the bazaar our group meets again at the place agreed and we move to another traditional place fish market. 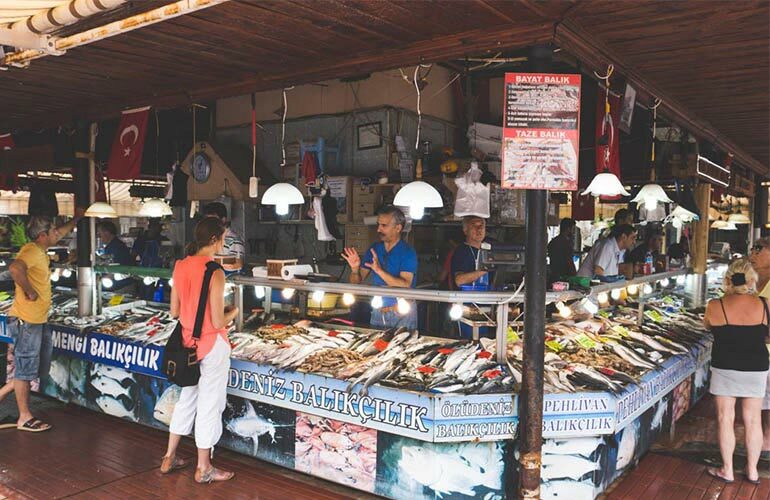 The fish market is in the heart of Fethiye and in the center many fishermans trying to sell fishes. Once people buy their fish restaurants around can cook for you for a reasonable price. We do not include lunch for this trip as there are many different fish is available for every budgets. And also guest who does not like to eat fish there many other restaurants are available. After the lunch we head to Kayakoy which is a ghosted greek village. it is now preserved as a museum village, consists of hundreds of rundown but still mostly standing Greek-style houses and churches which cover a small mountainside and serve as a stopping place for tourists visiting Fethiye. After our visit we return back to Patara.